The Boston Museum of Fine Arts — famous for its seminal role in the beginnings of the 19th-century Western collection and curatorship of Japanese art — chose to showcase two anime for the first time at its annual Japanese Film Festival this year. One of these was the powerful and sophisticated “Maquia: When the Promised Flower Blooms,” which established Mari Okada as a director next to Isao Takahata in sensitivity and originality. 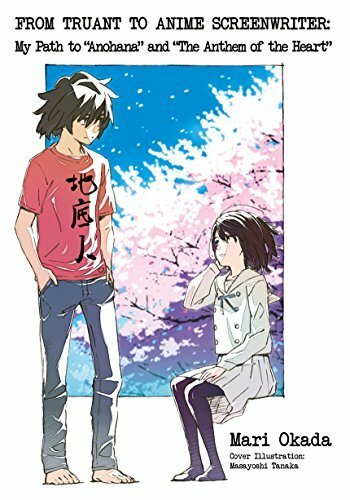 From Truant to Anime Screenwriter, by Mari Okada, Translated by Kim Morrissy. “Maquia” explores time, mortality and love, using the device of the bond between an immortal, alien being and a human child to explore the brevity and transience of life. 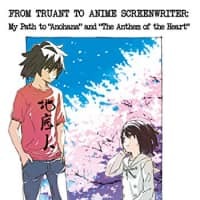 Okada’s own story, “From Truant to Anime Screenwriter,” that of a child trapped in the prison of her hypersensitivity, is baldly and grimly told, a struggle against her demons of isolation, humiliation, and self-loathing. The facts of her life, both mundane and harsh, illuminate the rich thinking that exists beneath her writing. For example, the figure of her clueless, difficult mother appears throughout her screenplays, but is redeemed in “Maquia’s” statement that love, even at its wisest and purest, is always pain and always inadequate. This little book provides a raw glimpse into the soul of an upcoming and impressive talent.